Photo by Amy Waldrip Cheese on a mouse's budget. Photo by Amy Waldrip Serendipity in the candy aisle at Grocery Outlet. 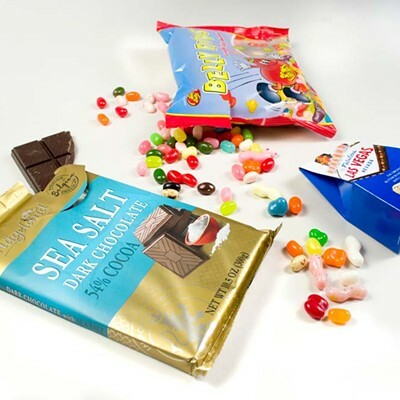 Life at Grocery Outlet is like a box of discount promotional chocolates: You never know what you're going to get or if you'll ever see it again so you binge and grab twice as much as you came for. Sure, plenty of people turn their noses up at a cruise among the random cans and overstock runoff. Even fans quibble about which branch is the nicest/least sketchy. But there are deals, y'all. And in their pursuit is the thrill of the hunt, discovery and a chance to practice living in the moment with gratitude for what this strange and fickle universe lays before us. When we asked our readers on social media what their go-to purchases are at the three locations in Humboldt (625 Commercial St., Eureka; 1581 Central Ave., McKinleyville; 1085 S Fortuna Blvd., Fortuna), more than one said it was a trick question, given the chain's constantly rotating inventory. And yet there were oft-mentioned faves. Here's what we found on a recon mission in Eureka. Wine and beer. But especially wine. Many a wine snob has told us they've heard of folks who would buy a dirt-cheap bottle, taste it in the parking lot and hoard more if it was good. Handy apps like Vivino, which scans labels and pulls up ratings, simplify scouring the small labyrinth of bottles. An employee tipped us off to the popular Pythian Rock cabernet sauvignon for half its usual price at a mere $5.99. And while paying $5.99 for official One on One chardonnay from The Bachelorette might not be your finest oenophile moment, it's less shameful than the suggested $15.99. The discount for Le Merle's saison Belgian-style ale wasn't as steep at $7.99 for a four-pack but the selection of craft brews (including some out-of-season winter beers) piqued our interest. Organic fruits and veggies. Are there handmade baskets tumbling forth at the elbow of the farmers who raised them? No, friends. 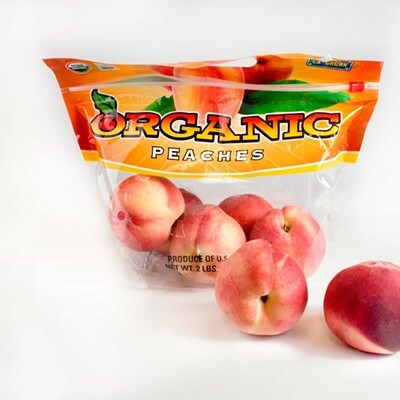 But there are armfuls of organic peaches for $4.99 and similarly cheap vegetables. The spread won't woo away any farmers market devotees but it takes the sting out of it for those who are, real talk, just going to let that head of lettuce wilt and liquify in the crisper anyway. Meat. Folks sing the praises of affordable, if mercurial, beef cuts. 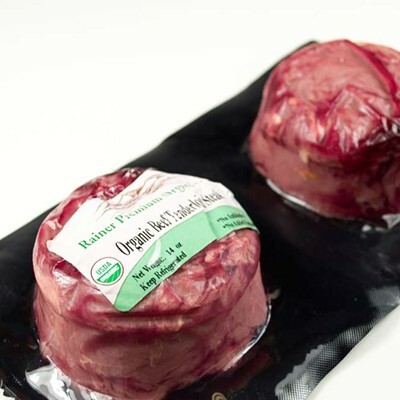 We got a tip on a two-pack of organic tenderloin steaks for $8.99. Are they the filet mignon you had at Moonstone Grill? No, but they are tasty grilled up with a little salt and pepper on a weeknight. Fancy cheese. The affordably priced hunks, buttons and slabs lure one out of a rut to try something new. 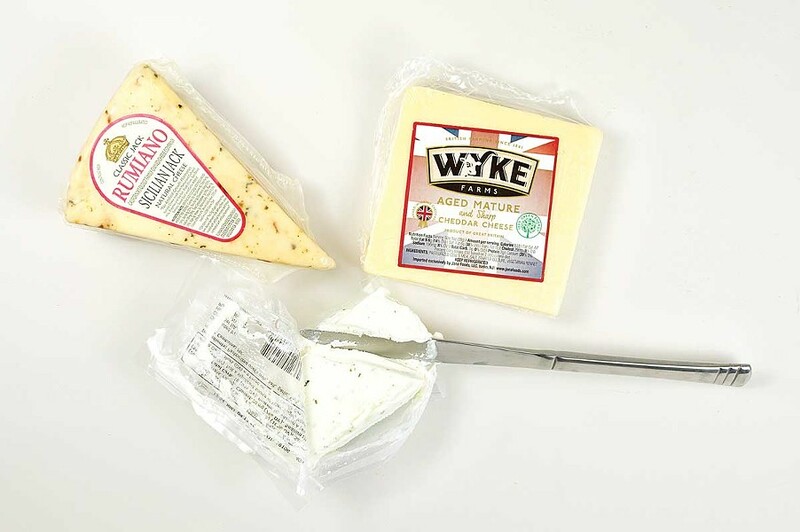 We picked up sharp English cheddar, a small log of goat cheese and a wedge of herbed jack for between $2 and $3 each. 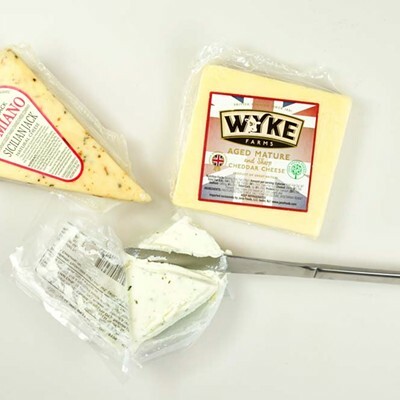 And just like that, "I'll bring the cheese" is now your easiest and most economical party option. Ice cream. 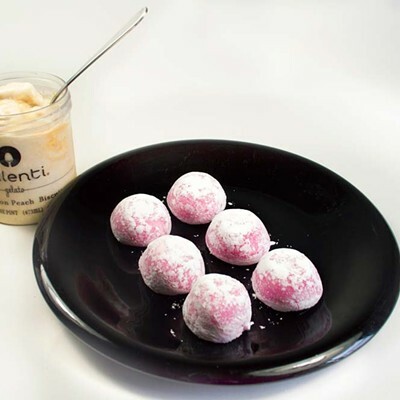 Mochi ice cream ($3.49) was a frequently cited must-have among regulars and I will admit to a genuine spike in adrenaline upon seeing frosty canisters of Talenti gelato for $1.99. Cinnamon peach biscuit. What kind of D-list flavor was this? Did we want to roll the dice on a rejected flavor? Reader, we did. And we were rewarded with something like a late summer pie à la mode. Life is about taking risks. Frozen food and vegetarian stuff. The frozen aisles are formidable and there's a solid (sorry) selection of vegetarian foods here. 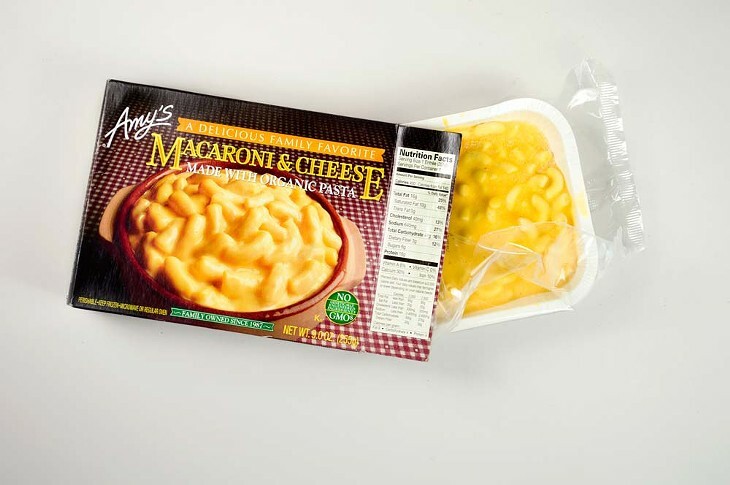 In the center of those overlapping Venn diagram circles are the stacks of Amy's macaroni and cheese. 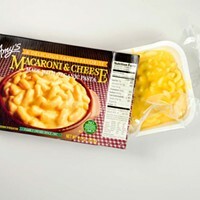 At $2.49 it's still a splurge in comparison to the sad boxed variety but live your life already. Beauty aisle scores. It's tough to think beauty under the fluorescent lights but die-hards swear this is the place for the Yes To line of creams, shampoos and cleansers at 50 percent or more off, along with other fancy soaps and lotions. 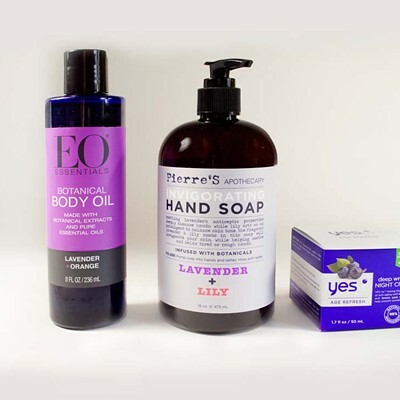 We picked Yes To Blueberries face cream for $5.99, a schmancy lavender Pierre's Apothecary hand soap for $3.99 and a bottle of EO Essentials body oil ($6.99 with essential oils that are honestly too relaxing for a newsroom. Chips and snacks. 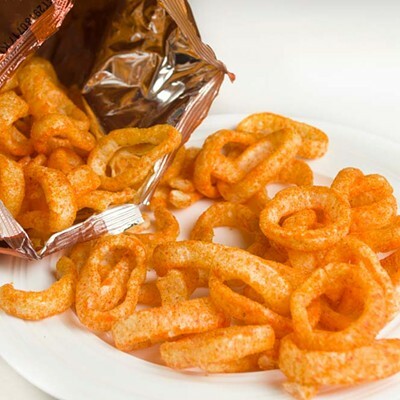 We spotted organic cheese puffs, sea salt chips and peanut butter-filled pretzels, but it was a glittering bag of lurid, vermillion Hawaiian Luau Barbeque Rings with enough flavoring to make a bag of Takis squint that got us. They were only $1.99. Send help. Cookies. There is a rotating bevy of imported and oddball biscuits, from Swedish gingersnaps to Italian cream wafers. 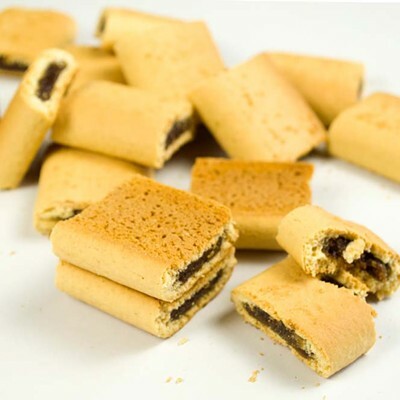 But the sentimental choice is Daddy Ray's fig bars, a nondescript block of which will set you back only $1.99 and return you to childhood. All the candy. Our tour ends at the very id of the store, a place of slashed prices and broken resolve. 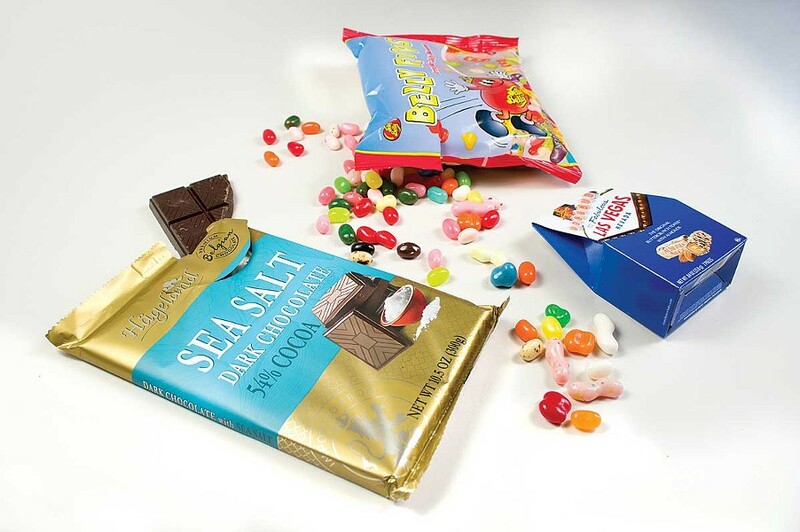 We scooped up Jelly Belly's misfit Belly Flops ($2.99), a massive bar of Belgian chocolate with sea salt ($3.99) and a two-pack of almond roca in a box that inexplicably reads "To Fabulous Las Vegas, Nevada" ($.79). And why not? What happens in the Grocery Outlet candy aisle stays in the Grocery Outlet candy aisle.